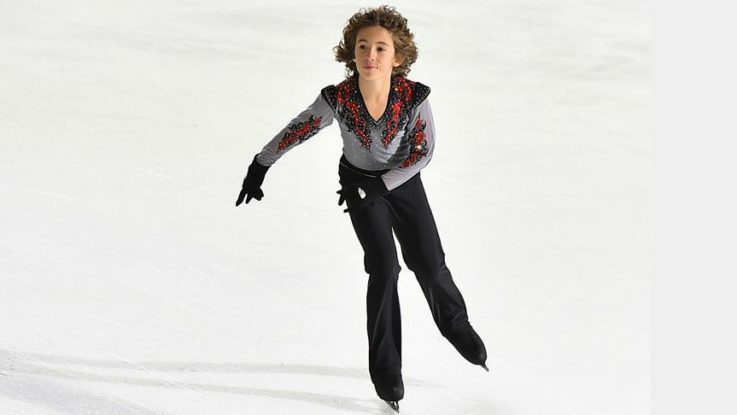 A 12-year-old Turkish ice skater will look to break new records during his participation in the Stars category of a major championship in Serbia later this month. Earlier in January, Efe Cetiz broke a world record in the Basic Novice A Boys category with 23.03 technical points at the Turkey Championships in capital Ankara. Cetiz has been ice skating since he was 6-years-old. He has won around 30 medals, including 25 golds, so far. His coach Gamze Guner told Anadolu Agency the skater’s first experience in the Stars category will be during the 11th Europa Cup Skate Helena in Serbia, which will be held between Jan. 23 and Jan. 27. “We added Efe to the boys’ category four years before his peers. He has always competed with older [athletes],” Guner said. This time “a much tougher path is awaiting us,” she said, adding that normally skaters his age compete in the Stars category two years later. According to Guner, there is no athlete in his age group in Turkey. Turkish Ice Skating Federation head Ahmet Hamdi Gurbuz believes Cetiz’s success would contribute to the country’s sports. “Efe is an athlete we believe in,” Gurbuz told Anadolu Agency. Gurbuz praised Cetiz’s success at the Ankara Championship. “In this sense, Efe’s success is great,” he said. Gurbuz also said the federation’s aim was to increase the number of athletes similar to Cetiz in the future and train them for Olympics. Guner described his success as “something difficult to do”. She said their aim was to get top points in the boys’ category in five years, but “we have achieved this aim earlier than expected”.